Following Celia’s tradition at Fig Jam and Lime Cordial, I share with you what’s been going on in our kitchen these busy days. It seems like yesterday, but in fact I published my first “In My Kitchen” almost one year ago! Now, 11 months and 5 posts later, a bittersweet moment: this will be the last one to come from our Okie home. A new bewitching kitchen is waiting for us in the “Little Apple“, and I cannot wait to share it with you in the near future! 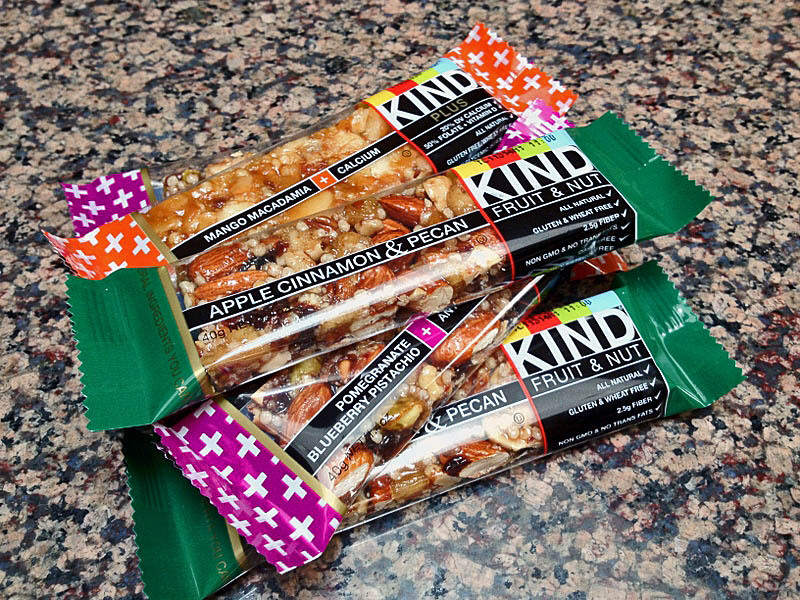 KIND, our favorite cereal bar! We tried it for the first time while living in Los Angeles, and were thrilled to find its many flavors, all delicious, in a special store here in town. They are moist and satisfying, with a perfect combination of flavors. My favorite is the mango-macadamia, super tasty! In my kitchen… We always have some type of dark chocolate hanging around. 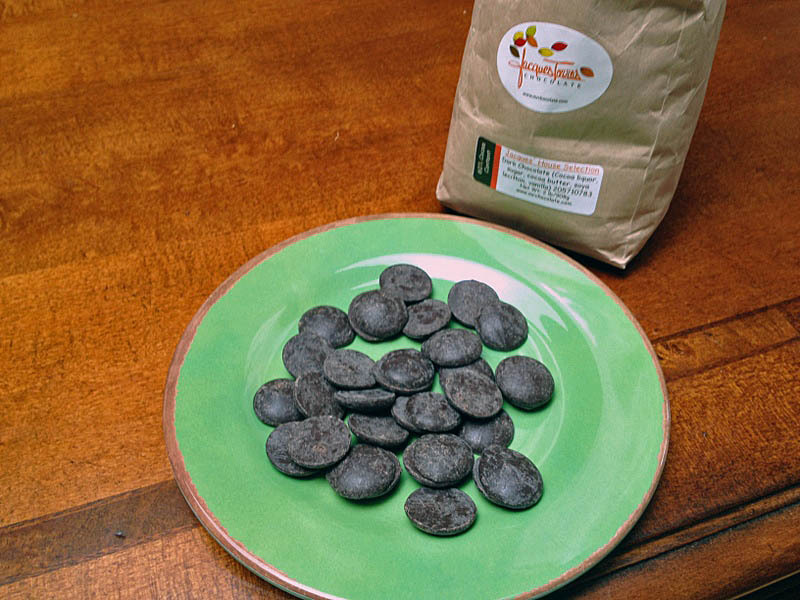 Phil loves to nibble on a little piece with his coffee, and his passion for chocolate is highly contagious: I find myself more and more dependent of a small piece before going to bed. 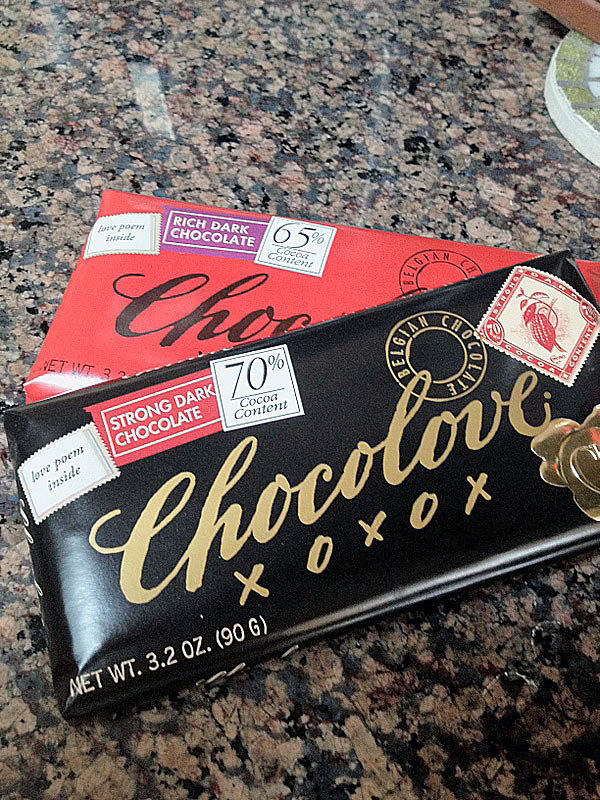 This brand, Chocolove, is a new favorite, with a very smooth finish. To make it even better, it is a fair-trade product. A bottle of sorghum molasses. For a few months now, it seems to me that every cooking magazine I open has one or two recipes using sorghum. I finally found it and brought it home. Hopefully, when my life gets a little less frantic, I’ll be able to try one of the recipes in my “sorghum folder”. 😉 If you want to know more about it, click here. 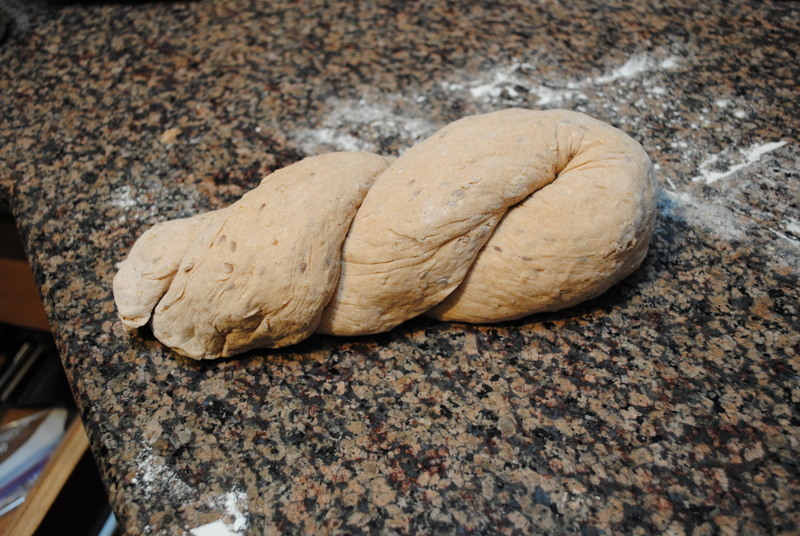 A new way to shape a loaf of bread, following a braided method from “How to Make Bread”, from Emmanuel Hadjiandreou. 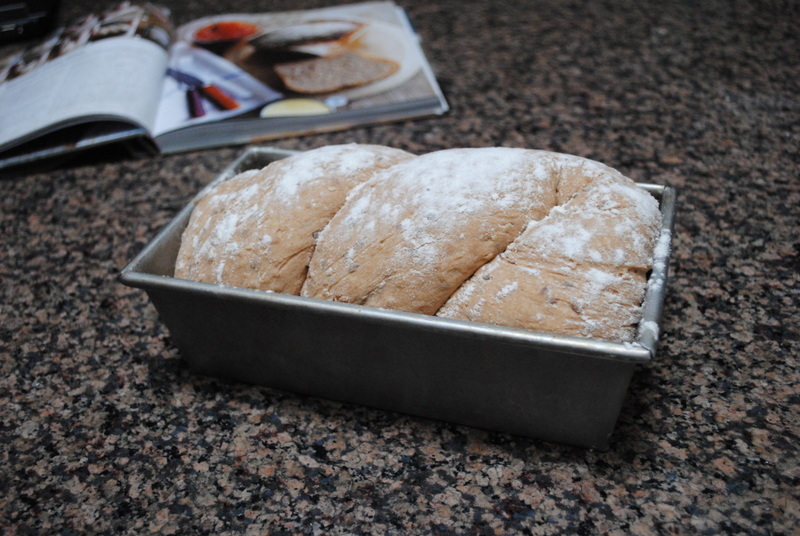 This particular recipe is his multigrain bread, substantial but not too heavy. In my kitchen… So many gifts! 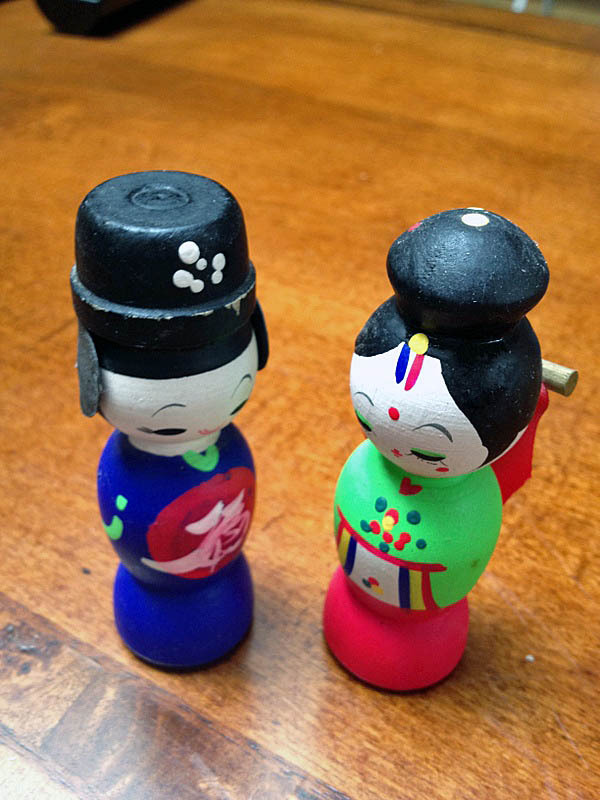 Two Korean wooden dolls, given to us by a former undergraduate student, they live near our kitchen, and love to watch us cooking. 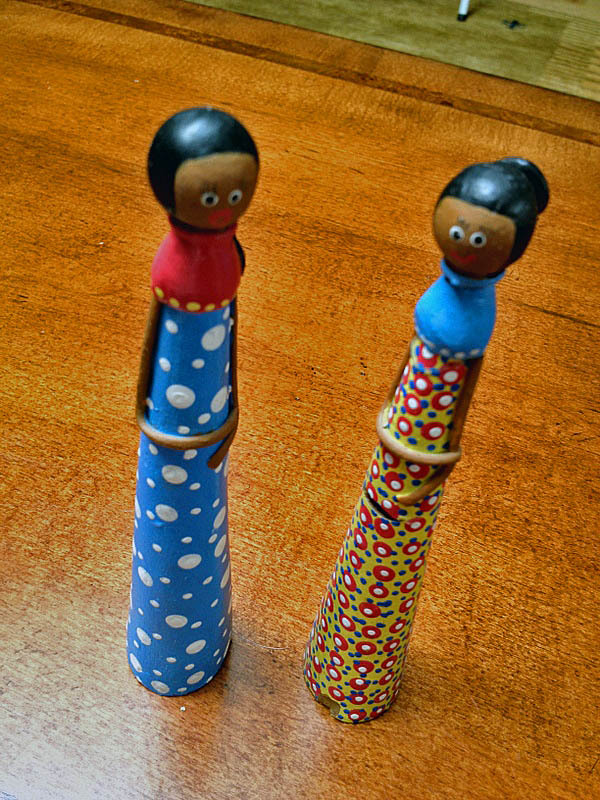 They get along quite well with their Brazilian clay friends, a gift from our friend (and amazing cook) Anita. A very special gift from our graduate student Vy, who was recently in New York and brought back a bag of chocolate disks from Jacques Torres. 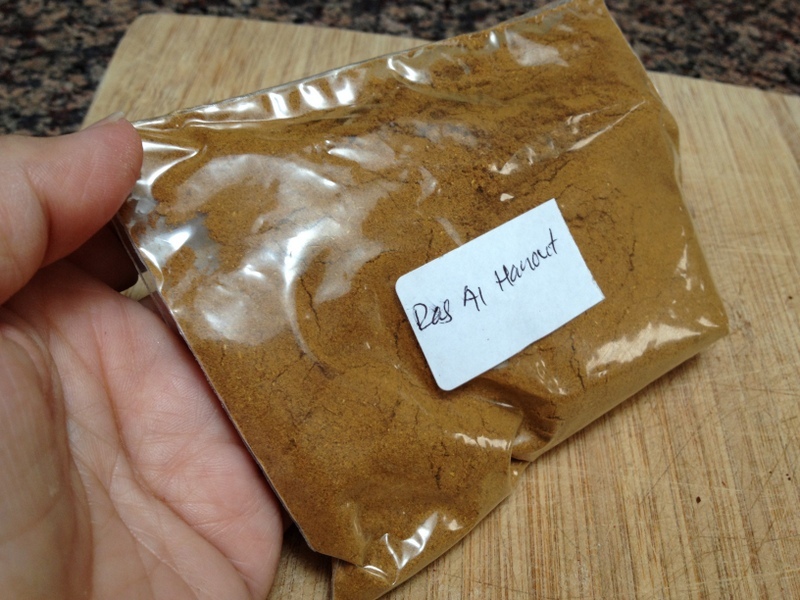 Ras El Hanout! One of the few spices I didn’t have in my cabinet! Am I lucky or what? No doubt in my mind I have the most amazing friends! 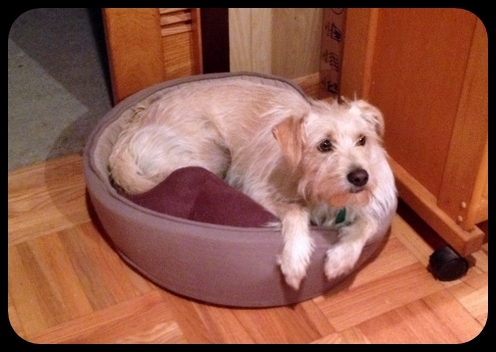 and finally, in my kitchen…. Love your loaf, and the saffron. How amazing! My redneck Arkansas hick trailer trash Government-cheese-and-‘possum eatin’ in-laws “graced” me with a jar of authentic Ozark sorghum last year during a visit to their outhouse/home. I can’t say that I find it the ambrosia they do, but it is interesting to substitute it for other liquid sweeteners sometimes. For instance I used it instead of honey in my favorite basic white American sandwich loaf a few months back. There was no difference in rise, crumb, etc., but the flavor was definitely more pronounced. Not unpleasant, but certainly distinct (and I felt immediately less educated after just one sandwich. Which, considering my profession, might actually be a boon). Ooo! 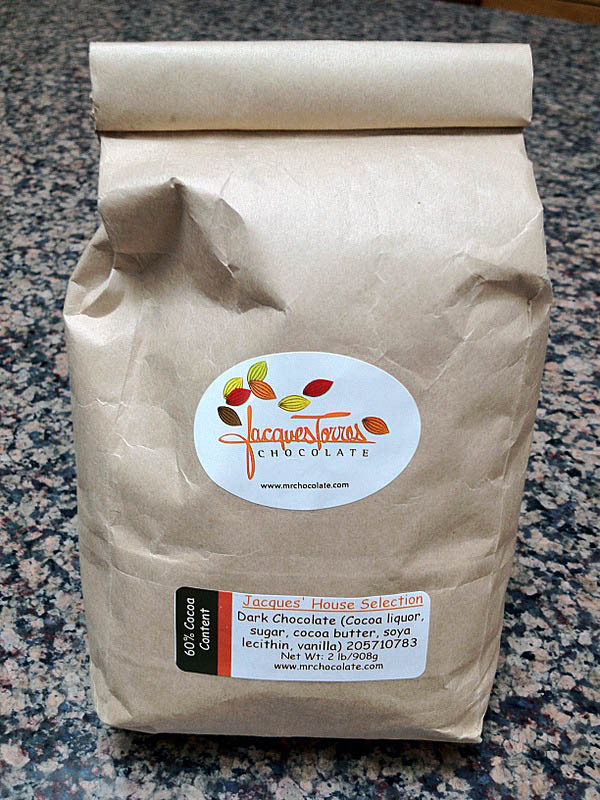 When my equally hick wife came out to civilization (NJ) to be with me, one of the first places we went in the City was to Jacques Torres. It’s in the cartoonishly named “DUMBO” section of Brooklyn (“Down Under the Manhattan Bridge Overpass”). At the time ol’ Jacques had a FoodTV show featuring his artistic prowess with all things chocolate, and wifey practically creamed her jeans every time it came on. So down to DUMBO we went. It’s actually a tiny little shop, with a glass case or two displaying a dozen or so varieties of truffles and a bunch of hot chocolate mixes. Wifey was pretty disappointed, thinking as she did that we were gonna tour the Wonka factory. But that only lasted until the door at the back of the shop opened and a worker came in carrying a tray of fresh chili truffles. When those bay doors swung out we got a good look at the cavernous operations going on behind the scenes. It was massive, with conveyor belts and vats of tempering chocolate. The blast of smell was overwhelming. Wifey finally reached nirvana (and probably other things). Overall though…I still prefer Teucher’s I think. It’s also easier to get to, with two locations in Manhattan. If you ever visit BIG Manhattan I’ll drag you out there. Wear jeans with absorbent panels. will keep you posted, maybe we can stop there together, the four of us? You think I’d tell my wife about this? My niece brought me a huge container of saffron, very similar to yours when she returned from Dubai. I used it in breads and rice and soup- ad now I need some more. 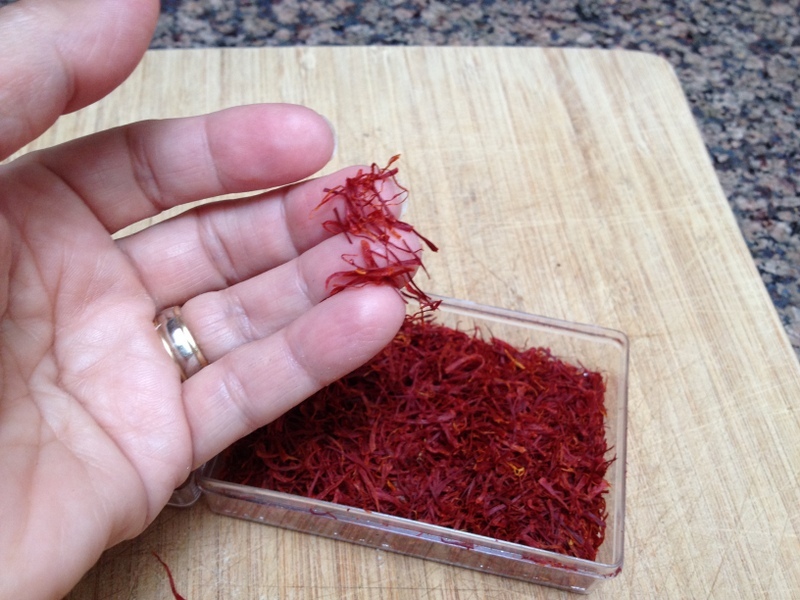 It is very easy to be spoiled with the richness of a big box of saffron. 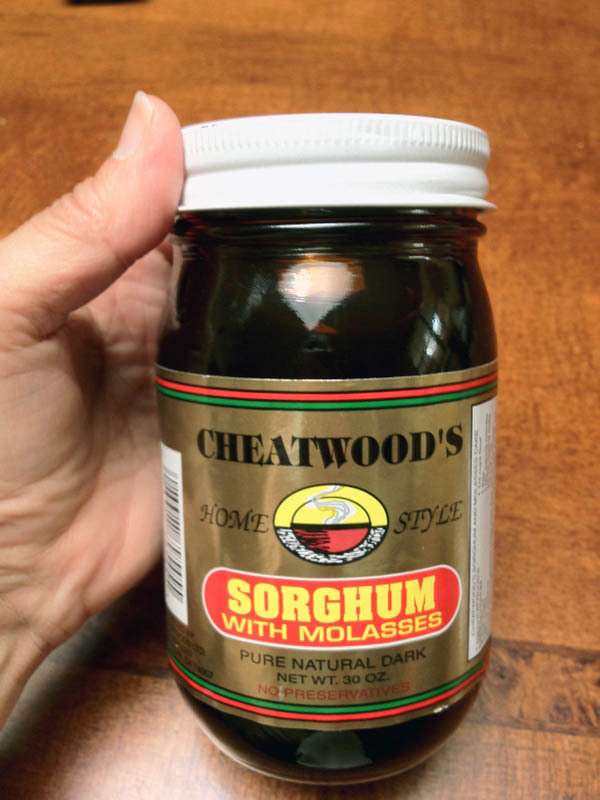 Great post- I received a gift of sorghum molasses last year and have enjoyed the flavor in my sourdough rye bread. I will have to use the sorghum in my breads – good tip! My friend’s accounts of his experiences in Saudi Arabia are amazing, every time he goes I wait for his letters very anxiously – and I do believe he should consider writing a book about his travels around the world. He is a great writer, apart from being a top notch scientist and a great cook too! That is about $2000 worth of saffron! Wow. Kansas State, eh? Manhattan looks like a great college town. A good friend of mine went to school there and loved living there. I know you and Phil will make the most of your new digs and you’ll continue to regale us with tasty, humorous and heart-felt postings. Paula, I’m THRILLED to see you here! Thanks so much, I have a very good vibe about our move, it was as I mentioned before, a tough decision to make, but… I am at peace with it, and really energized to jump on the work! There are great things in your kitchen. 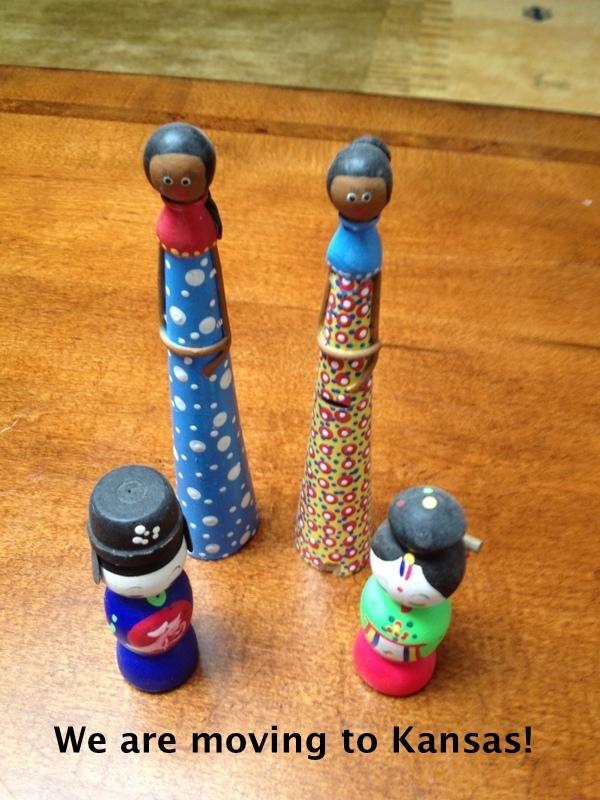 I especially like your Brazilan clay friends…. and your 4 legged friend. What is his name? Hi Sally, Oscar is a very lucky boy indeed. He looks like a sweety. I am sure he appreciates you rescuing him. Sally, isn’t it amazing? When you do a good turn for someone else it usually ends up that you benefit from it in some way. Everyone is a winner. Thank you for sharing the little treasures that make your kitchen a great place to cook. My compliments on the saffron and even more on the ras el hanout which I’ve heard about but never experienced. There are a number of middle eastern grocery stores around my house which I must explore one day soon. I hope to see how you use this spice mixture in the future. at the present time, I haven’t had a home cooked meal in almost a full week, and it’s killing me! gotta get home and COOK! Wow Sally that is a months rent in Saffron. Lucky you. Love the little dolls. Thank *goodness* you included a doggie picture (I was getting a little worried as I rounded the corner ;-)). Those eyes are pretty irresistible indeed. I always have dark chocolate lying around too. It’s part of the furniture at this point I think :). Is that really saffron?! I’ve never seen that quantity before… what a gift… I would be over the moon! Someday, my dear friend, you will have to travel to Istanbul, and visit the Spice Bazaar there! We came back from our trip there in 2000 with a quart-jar’s worth of saffron, and the same amount in sumac (used by the Turks in salads — not the poison kind that causes a rash!). 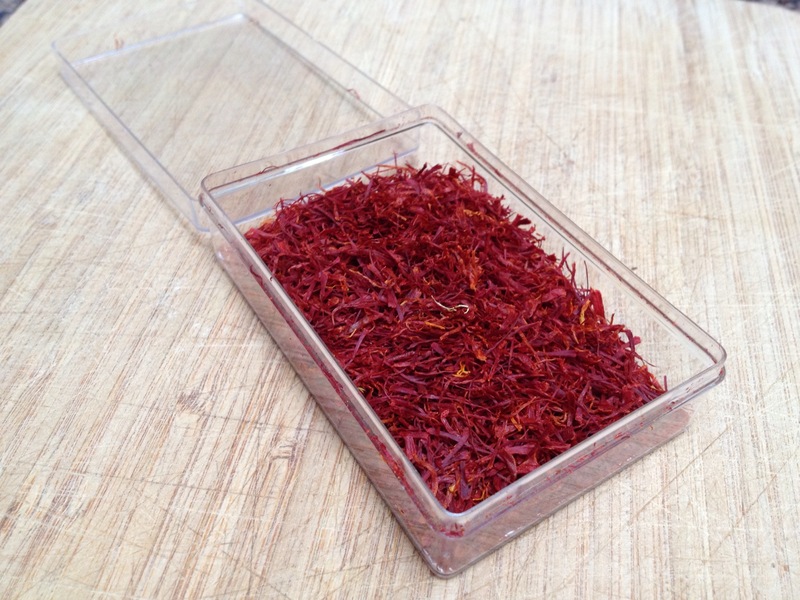 Two years ago, one of Vlad’s colleagues went to Istanbul and brought us back another large quantity of saffron. It is, indeed, like gold in its value here — and a very little bit goes a very long way! Joanna, I completely understand when life gets in the way, I’ve been a lousy “commenter” lately, so you are not alone! i don’t know what to say first- i mean i love the chocolates, must get my hands on those fruit bars, NEED that bread and want the spices! Gorgeous pooch you have there 🙂 Love the way you have shaped your bread. Great blog. That loaf of bread looks amazing! Lovely produces and cute dog. I wish I could find sorghum here! Lost cause I think. What a beautiful dog. Your lil pup sounds so innocent, she behave just like mine :). Ah, saffron … I just a gift from my sister, a little box of saffron from Spain. A nice way of braiding the loaf, I must copy it. Oh I can’t wait to see what breads you make with that sorghum. You’ll love it. And that saffron looks fantastic.